New Zealand’s largest and loudest carnival of change and diversity, the Auckland Pride Parade 2017 will rock and roll along Ponsonby Road tonight from 7.30pm. With over 50 fabulous float entries, the Parade will commence at the north end of Ponsonby Road near Tole Street, progressing along Ponsonby Road, to finish just past Western Park. Can’t make it to Ponsonby Road? 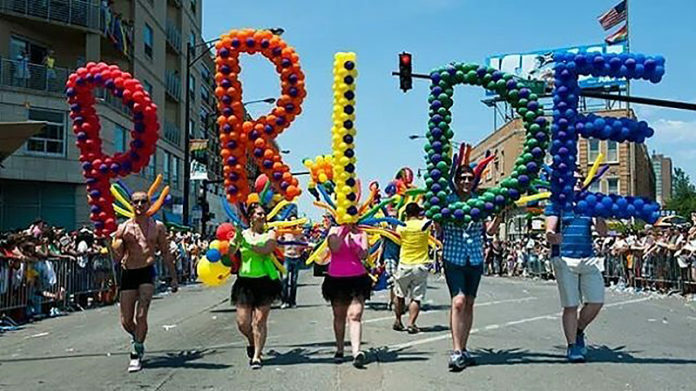 No worries – this year TVNZ OnDemand is proud to be live streaming the Auckland Pride Parade! Eikon will also have live social media updates and a special Facebook Live with the three most recent Mr. Gay New Zealand winners as they march in the parade with New Zealand AIDS Foundation. Mr Gay New Zealand 2017 Charlie Tredway with 2015 winner Matt Fistonich (Left) and last year’s winner Bernard Lee(Right) will all parade together tonight.